Park City, UT – Aspiring ski and snowboard athletes will have expanded opportunities as a result of collaborative partnerships between the U.S. Ski and Snowboard Association and its leading clubs, academy programs, resorts and sport performance facilities. The USSA has announced a four-level program to provide both regional and training opportunities through co-branding with those programs. To help further develop these relationships, the USSA has been evolving, defining and expanding partnership types, purposes and opportunities to co-brand with its clubs, academies and resorts. The relationships include regional and national development efforts providing unique on- and off-snow training facilities and opportunities for club, regional and national teams. Among the new programs are initiatives to replicate elements of the USSA Center of Excellence at regional locations. U.S. Ski and Snowboard Team Development Sites – On-snow training sites providing suitable venues to be used by the USSA for national development and regional athlete training, as well as being made available for nearby clubs. U.S. Ski and Snowboard Team Training Sites – On-snow training sites providing specialized venues suited for elite-level training and actively used by the national team. U.S. Ski and Snowboard Team High Performance Centers – High performance, off-snow centers and facilities focused on developing regional and future national team athletes operated under USSA standards by USSA gold and silver clubs. U.S. Ski and Snowboard Team Certified Center of Excellence – High level partnership, including embedded USSA high performance staff, emulating the USSA’s national Center of Excellence in Park City, serving elite national team and regional athletes at locations such as regional medical and sport performance centers. The USSA began the process two years ago in a partnership with the Mittersill race and training center project, a further revitalization of the western side of Cannon Mountain in Franconia, N.H. that created super G, giant slalom and slalom regional opportunities. It was the beginning of simplifying and reorganizing some of USSA’s existing agreements to fall into these four categories. The addition of the development site at Burke and the high performance center partnership with the new Ronnie Berlack Center at Burke Mountain Academy, named in honor of the late U.S. Ski Team athlete who was killed in an avalanche in Austria, was timed to celebrate Ronnie’s life and the opening ceremony of the center. The USSA is working with its gold and silver clubs to expand these partnerships throughout this season. Current national team training site partners include the alpine team’s European training base in Soelden, Austria and the U.S. Ski Team Speed Center at Copper Mountain, Colo. A unique partnership with California’s Mammoth Mountain provides training access for freeskiing and snowboarding athletes at its Unbound Terrain Park as does Utah’s Deer Valley Resort for freestyle skiing athletes. U.S. Ski and Snowboard Team training sites often provide highly valuable off-season and early season preparation opportunities. One of the key components to the partnership plan is the extension of educational information and fostering of exchanges of best practices among the USSA’s top clubs. The USSA has long been regarded as a leader in high performance programs within Olympic sport worldwide. 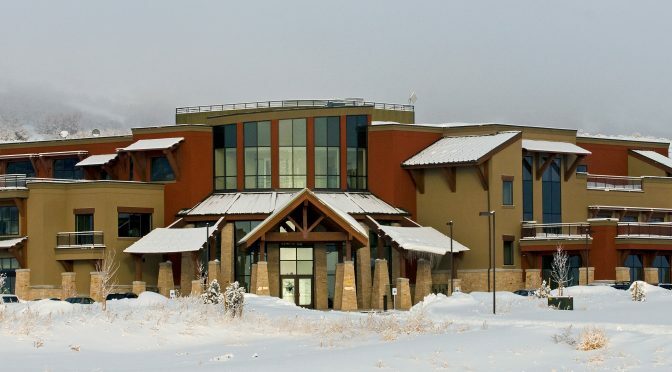 The Utah-based sports organization made a commitment to sport science over two decades ago, leading up to the opening of the Center of Excellence in 2009 in Park City.